Adam Hodge assessing Satish Kumar and Dan Pariachi during the training for Crest PropertyCare personnel. 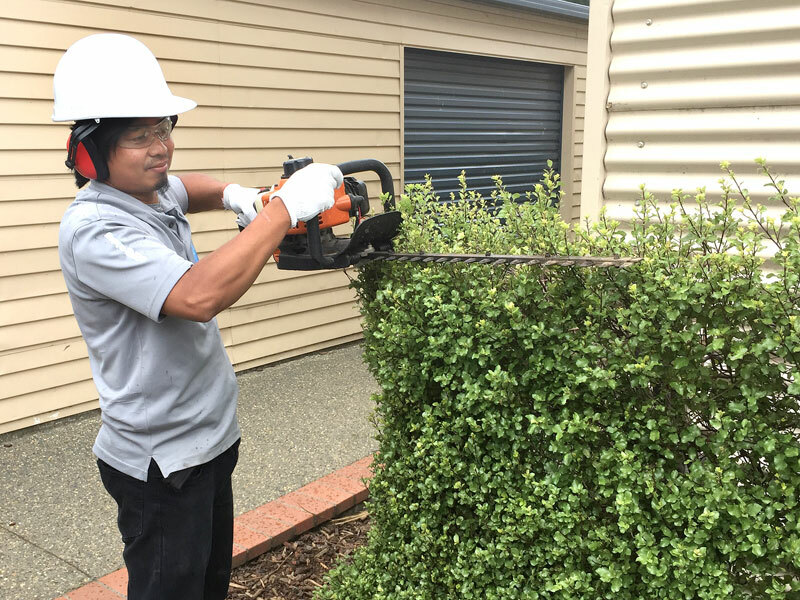 Crest PropertyCare personnel have stepped up to the mark by embracing a tailor-made training course to make sure they have the technical know-how to tackle every task they face. The course was overseen by Adam Hodge, the Director of CrestClean’s in-house training and upskilling unit – the Master Cleaners Training Institute. Adam says it is crucial caretakers are fully trained and able to confidently provide customers with a first class service. “The training empowers them and helps them better understand the health and safety aspects of the tasks they have to carry out. One aspect of the course was centred on ladder safety. “Everybody believes they can use a ladder – but not everyone can use one safely,” says Adam. “The assessments involve verbal and practical demonstrations of competency. They need to understand how to operate safely,” said Adam. Crest PropertyCare caretaker Harold Magannig was the first person to successfully complete the course. Harold and his wife Carlotta have been operating a CrestClean franchise in Invercargill since 2015. 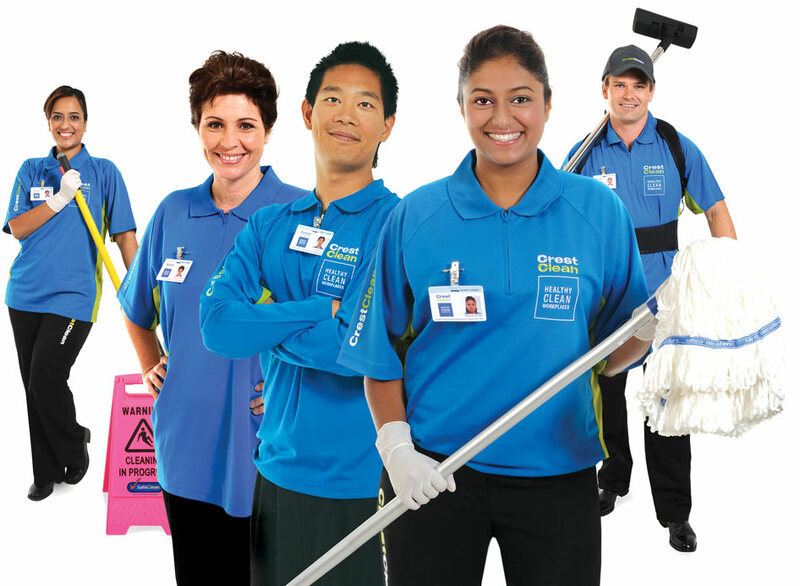 One of the roles that Harold undertakes with Crest is the provision of Caretaking services for Waihopai School. Harold said he was thrilled to complete the course. 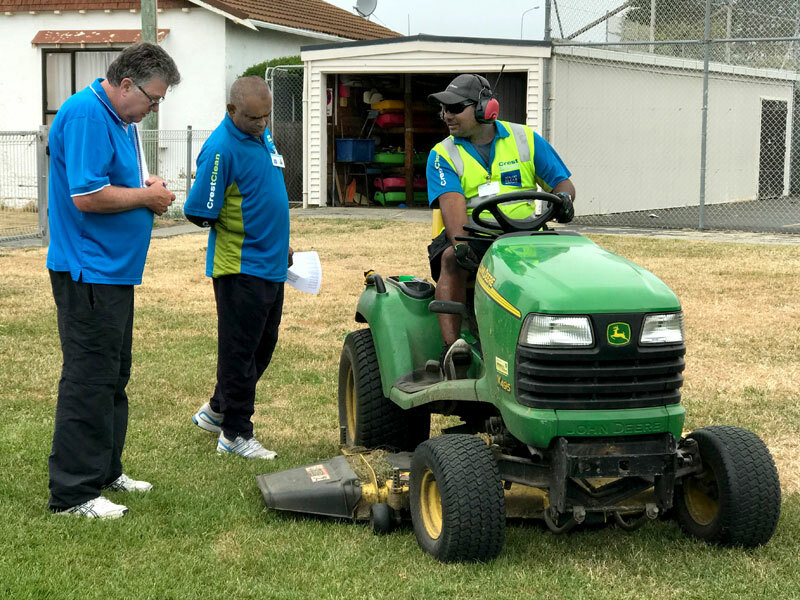 Waihopai School principal Allan Mitchell said he was very happy with the service and commitment that Harold has when he is on site at the school. Harold Magannig looks after the caretaking duties at Waihopai School, Invercargill.